I love the taste of cornbread, whether it is made only with corn flour or with a mixture of corn and other kind(s) of flour. 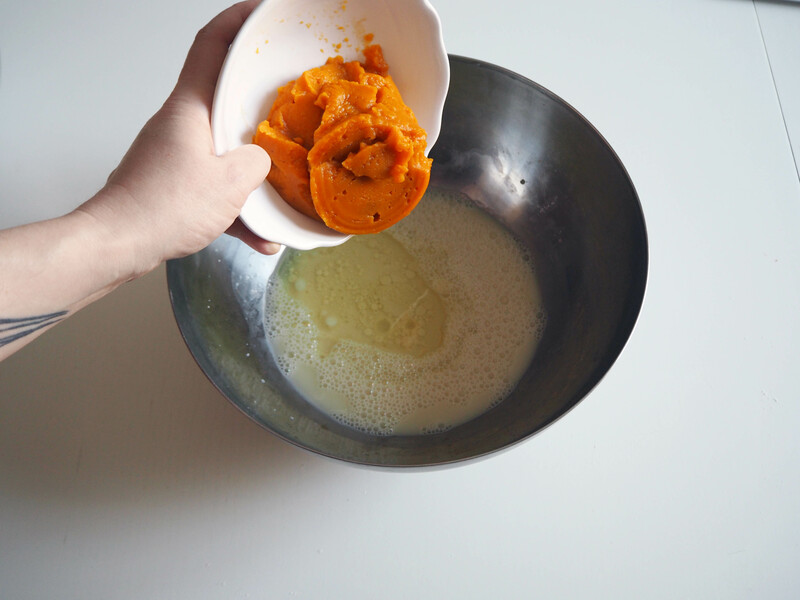 This bread has even more interesting combination in its batter: there is also pumpkin puree in it! 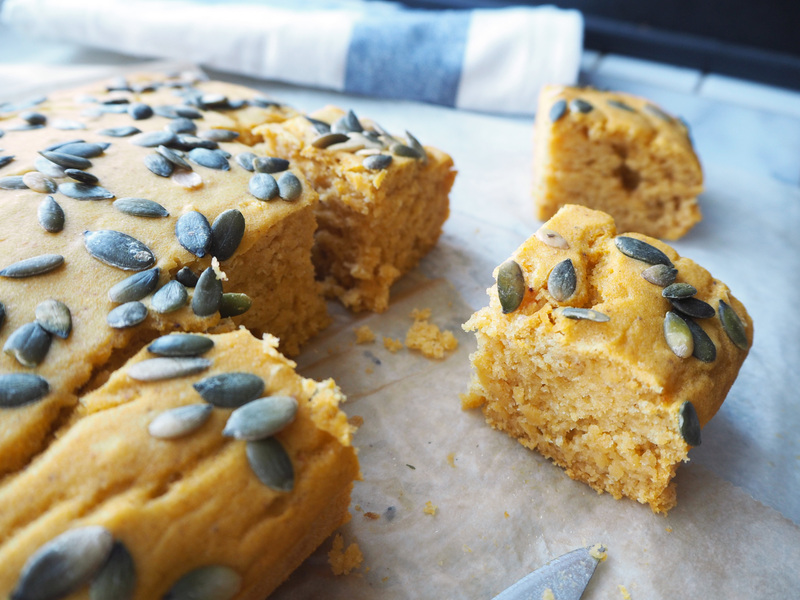 Pumpkin gives this bread moisture, a bit of sweetness, an extra touch of colour and a soft texture. 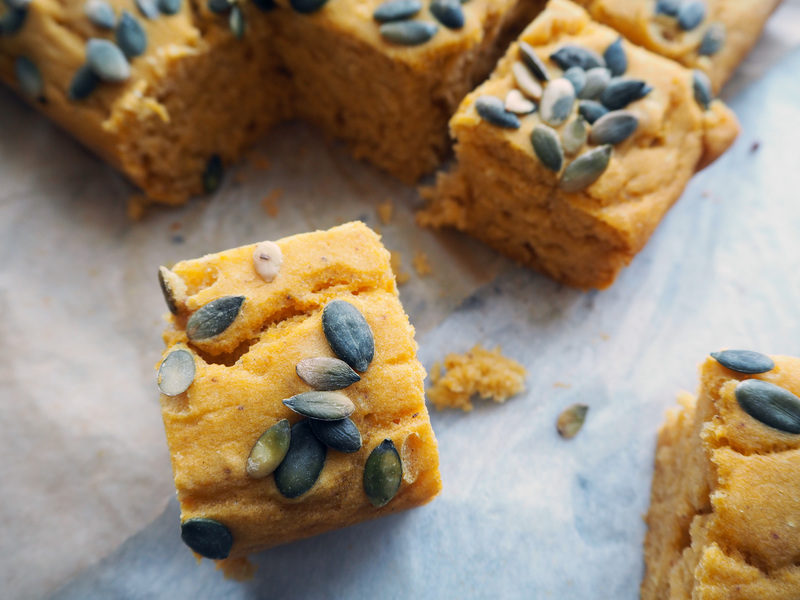 You can eat it like a regular bread with a main dish, you can eat it on its own like a snack or any baked good and you can eat it at any time of the day – I personally like it best to eat with tea for 5 o’clock tea time. 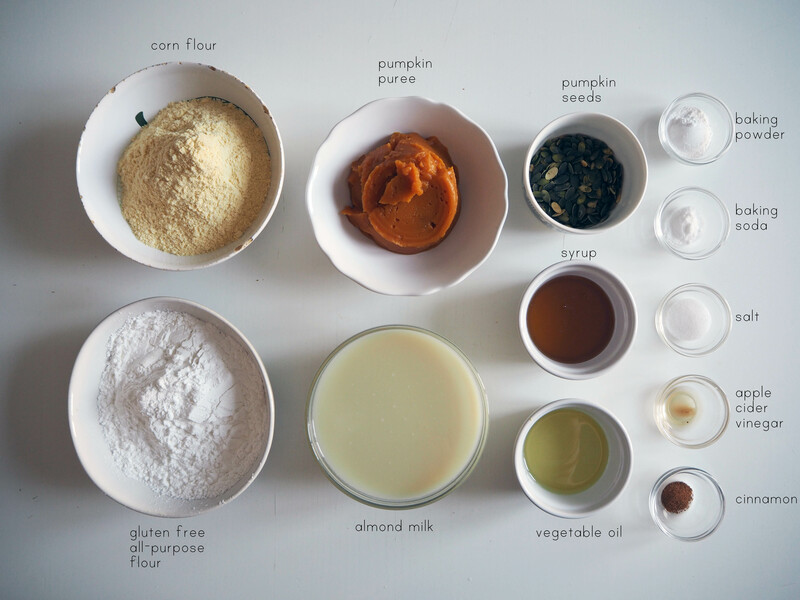 This recipe is a mixture of several recipes I saw in various blogs. This one is both gluten free and vegan, but there are also nonvegan or non-gluten free versions as well. 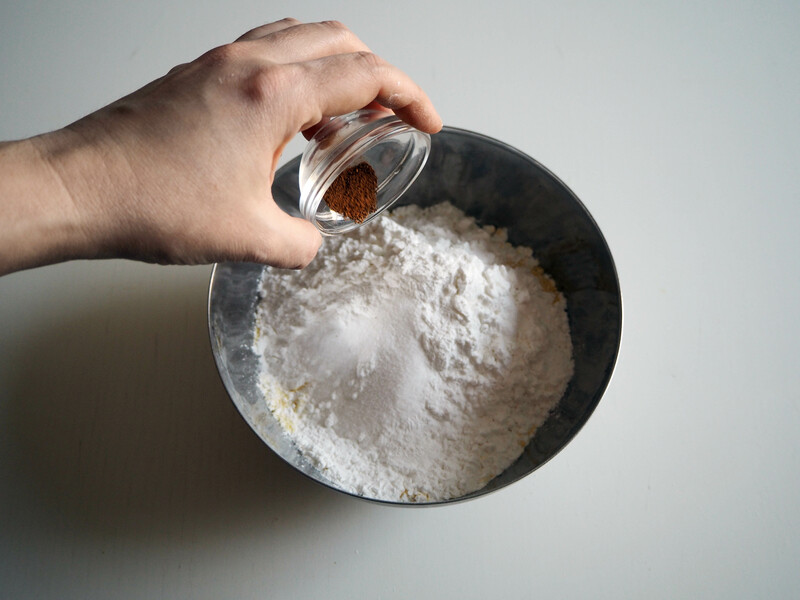 Indeed, if you are not trying to go gluten free, you can easily swap gluten free flour with regular wheat flour. 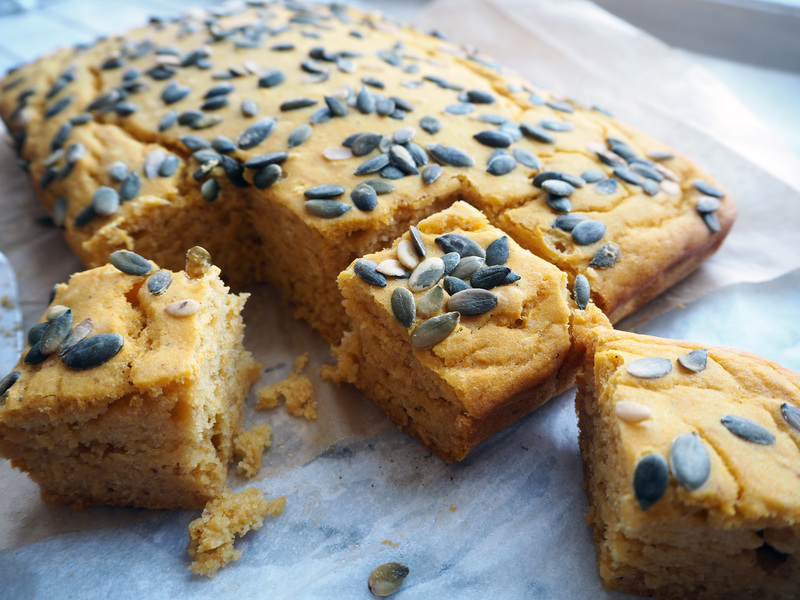 The addition of pumpkin seeds on top is definitely optional, however I strongly recommend it. 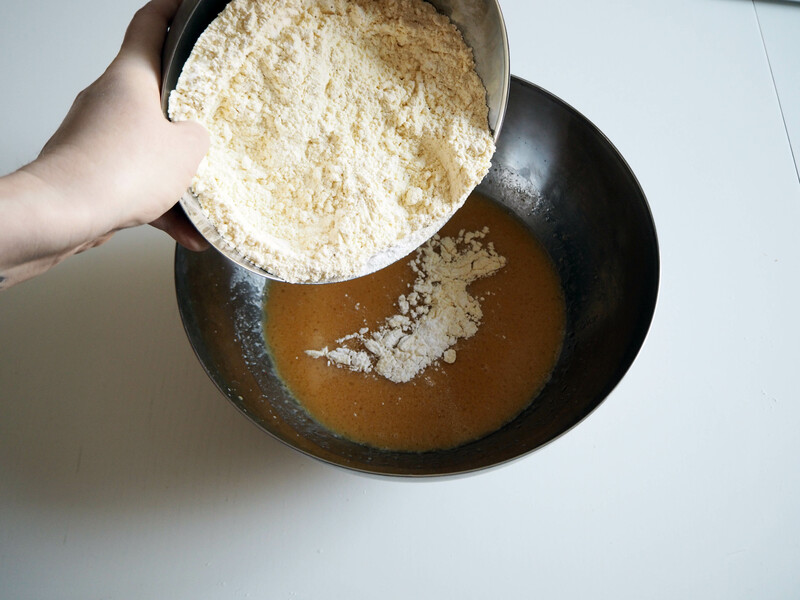 It doesn’t only decorate the bread’s surface, but it gives a crunchy texture to the otherwise soft texture of the rest of the bread. A nice little touch. 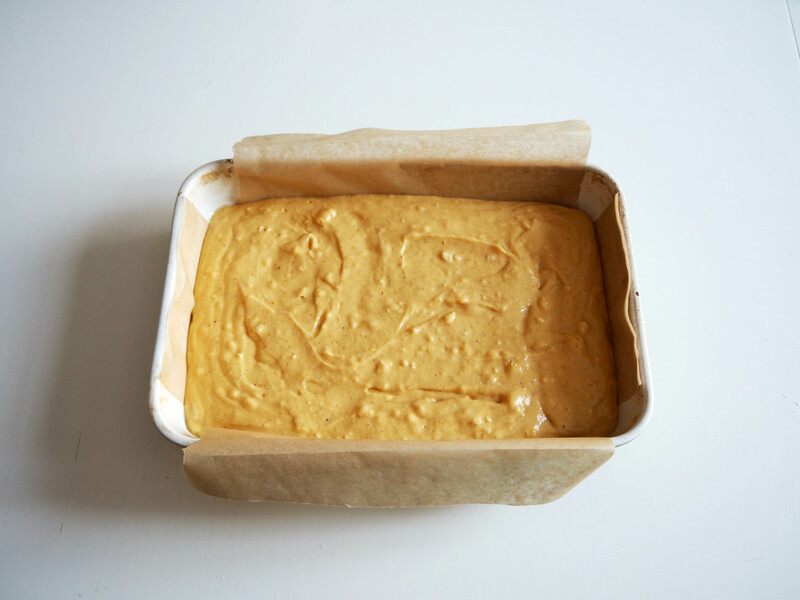 I like baking this bread in a rectangular oven dish, however you can easily bake it in a round cake pan as well. 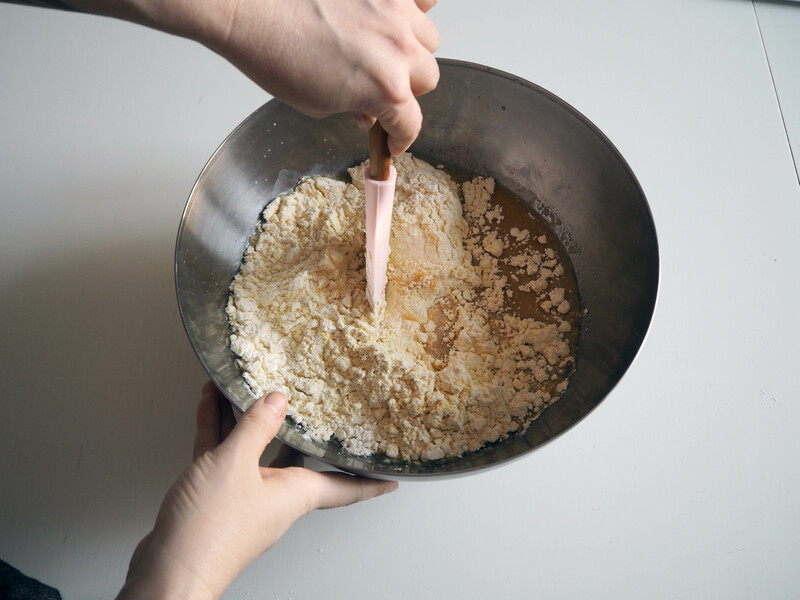 Just be careful that as a gluten free baked product, it is going to be a fragile bread so you must pay additional attention while taking it out of the dish you used. Otherwise, it is quite easy to make! Enjoy! *I used Sunnuntai Gluteeniton Jauheseos. There is also “tumma” jauhoseos, which has some more fiber in it and is darker, I recommend not to use that one for this bread. 1. Preheat the oven to 180C. 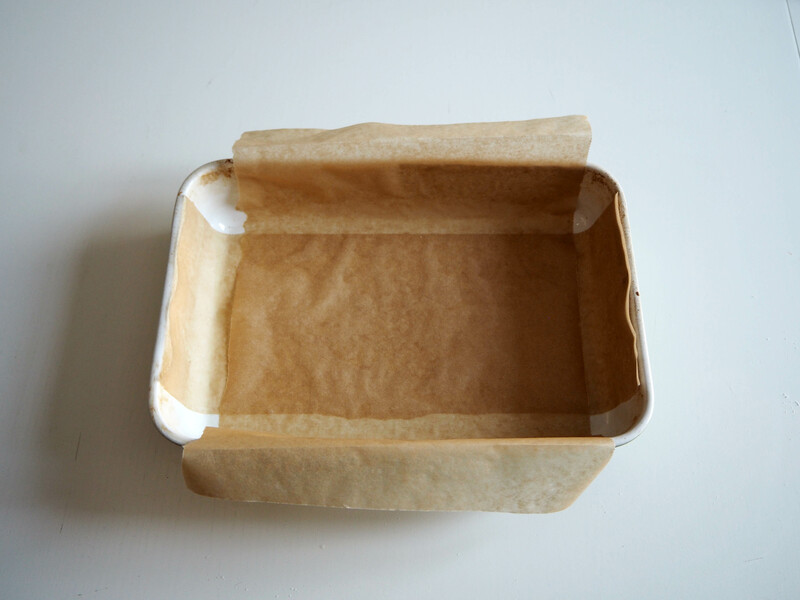 Grease 20x30cm oven dish (or a 24cm round cake pan if you like) and cover the base and sides with baking paper. 2. 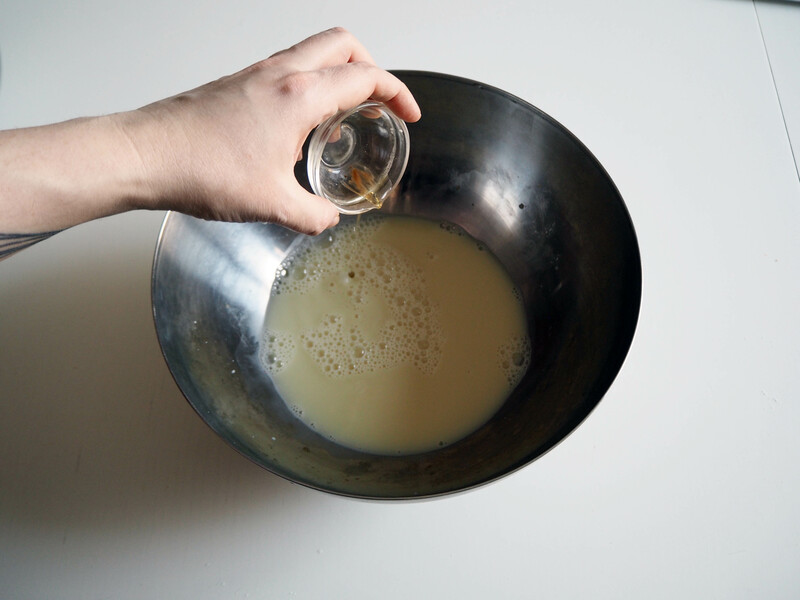 In a medium mixing bowl, put the wet ingredients (in the list above, the first 6 ingredients) and whisk them a little. Put aside. 3. 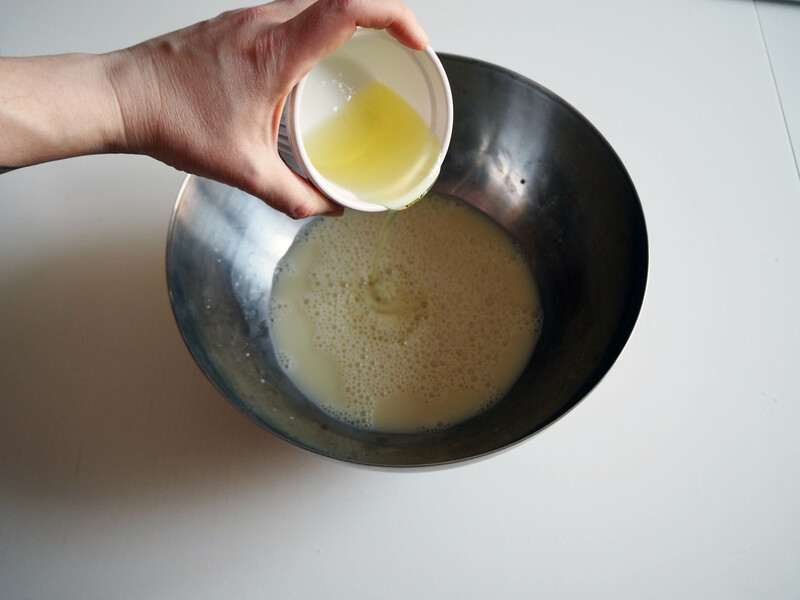 In a big mixing bowl (or in the bowl of an electric mixer, but you really don’t need any electric mixer for this), put almond milk and apple cider vinegar and whisk well. 4. 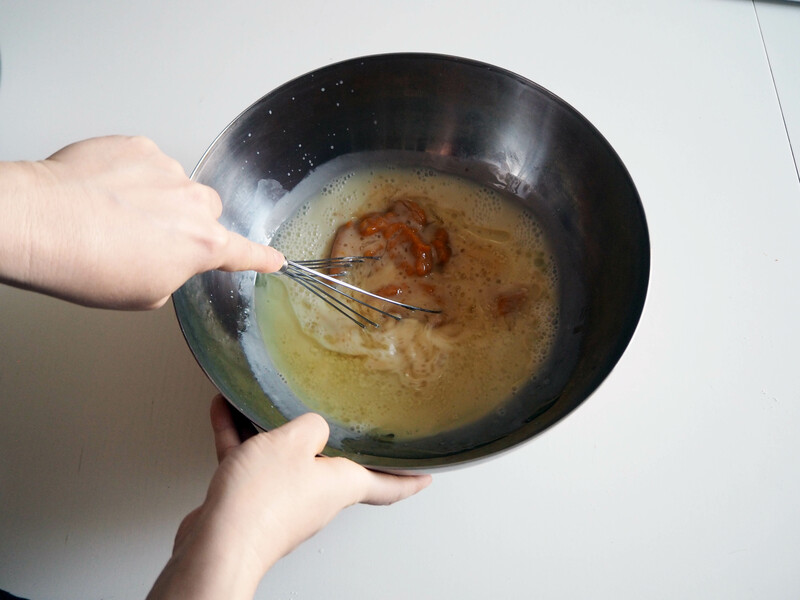 Add syrup, vegetable oil and pumpkin puree and whisk well. 5. 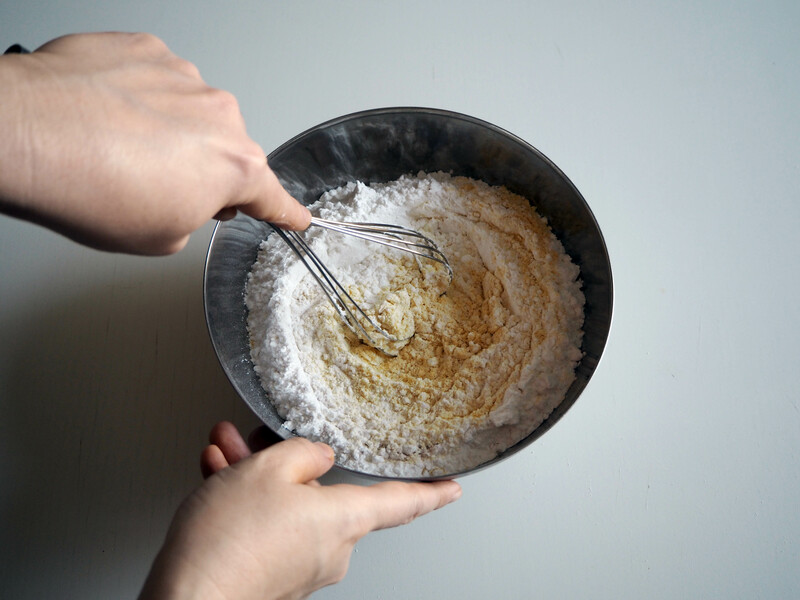 Add dry ingredients mixture to wet one and fold using a spatula. 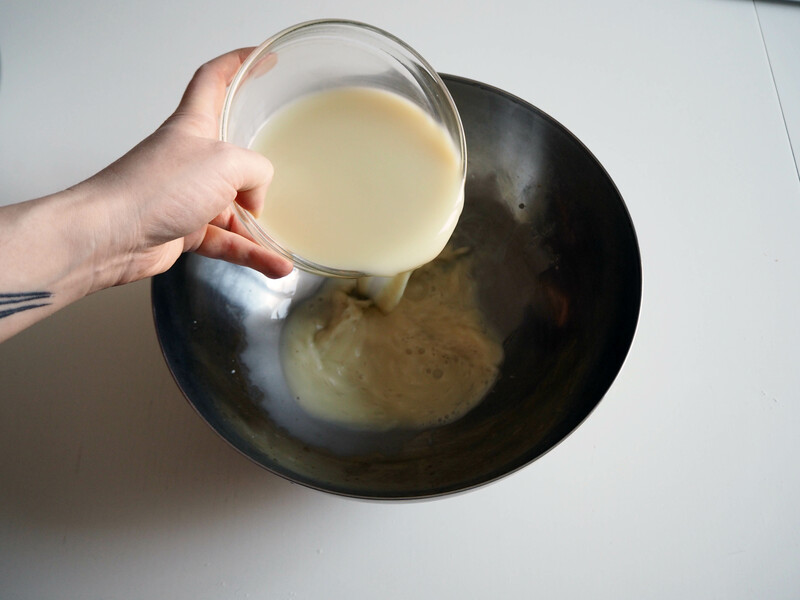 You can also use a whisk if you like; whisking is not going to create any gluten anyway, but it may add a bit too much air to the batter. 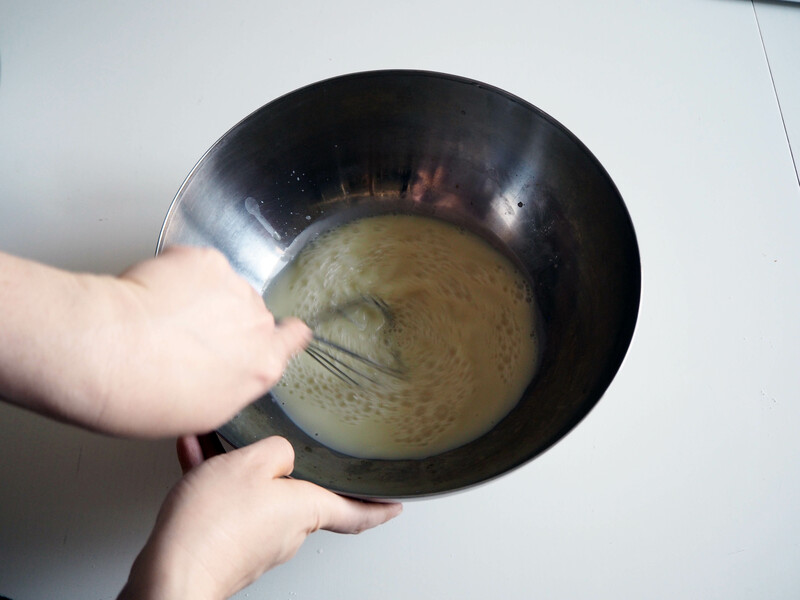 Fold / whisk until you have a smooth batter. 6. 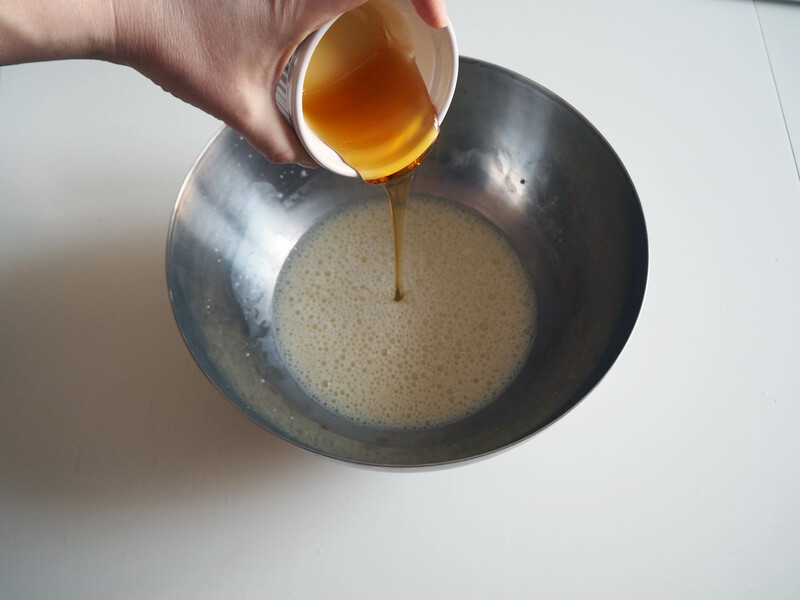 Pour the batter into the prepared oven dish and tap it on the counter a few times to get any air bubbles out. 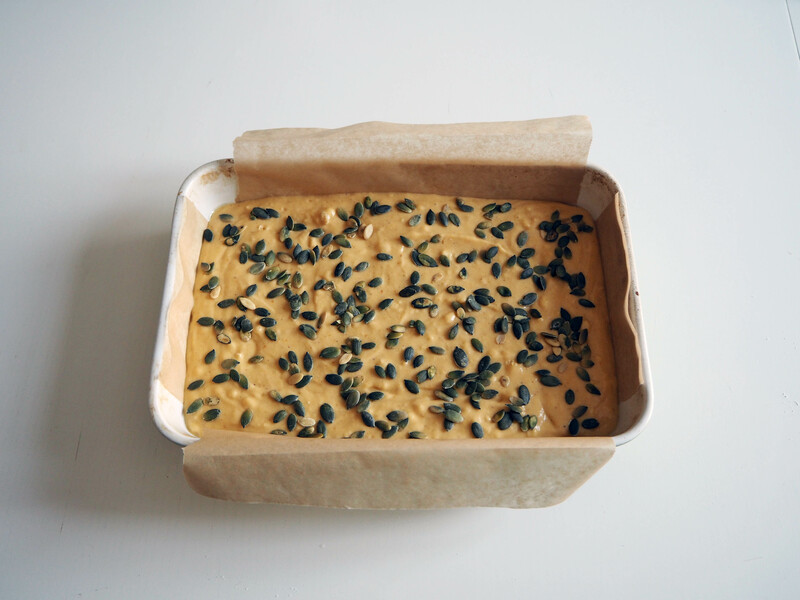 Spread as many pumpkin seeds as you like. 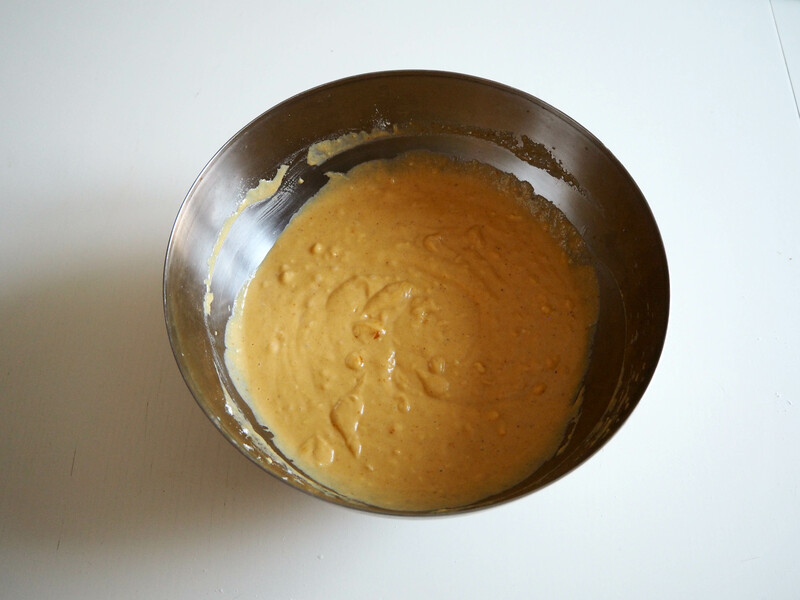 Put in the oven, in medium rack and bake for 35-40 minutes, or until a toothpick inserted in the middle comes out clean. 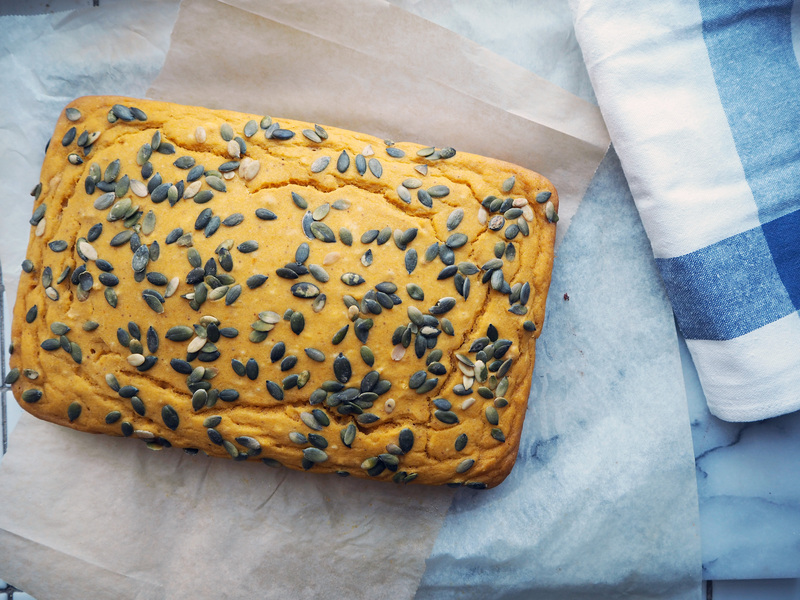 Let the bread cool for at least 20/30 minutes in the oven dish before taking it out of the dish. 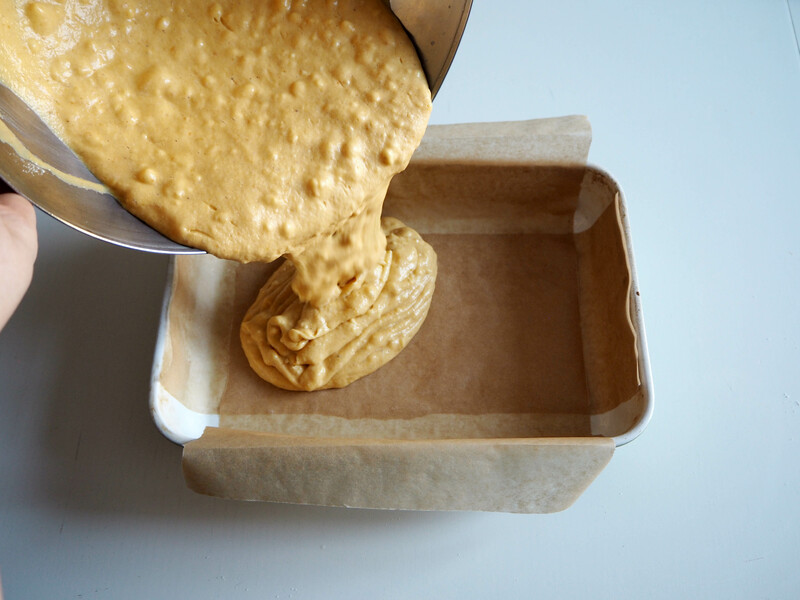 After that, let the bread cool down to room temperature before slicing and eating it – if you cut it too early, it will be still too moist inside. Enjoy! This looks amazing! Might have to try this one! 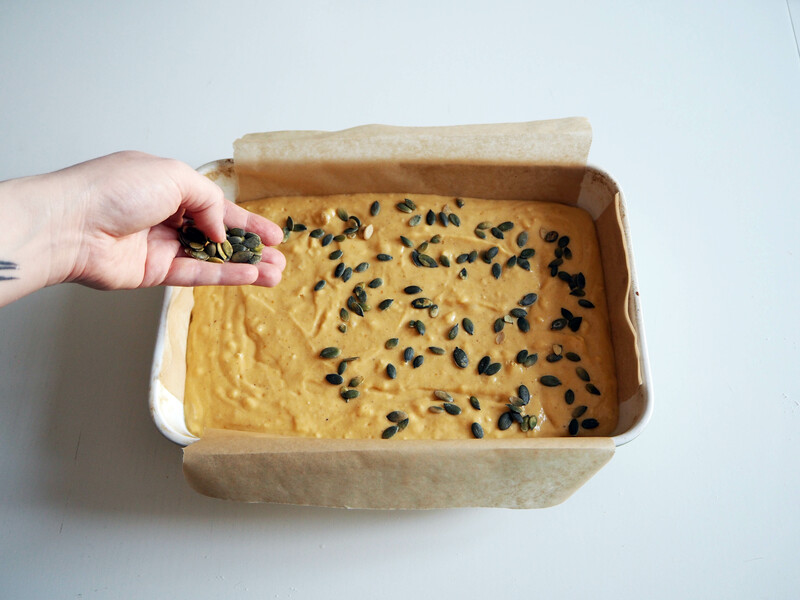 Will this recipe fit 20×20 cm pan? I have so many pans at home already and I don’t want to buy one for a specific cake/bread (no more space, lol). Yes it will fit, but you might need to change the baking time. I recommend checking the bread every 5 minutes after 40 minutes in the oven.